Handcrafted artisan ice pops made fresh, natural, and healthy. Fresh, organic, and locally sourced ingredients. Vegan and gluten-free options available. Specializing in private events of all types. We also frequent local farmers markets and town events. PopCentric hit the Connecticut scene in 2015 and was immediately loved by kids and adults! Our ice pops use only high quality ingredients and feature unique flavor combinations. We never use refined sugars or any type of artificial flavors and colors. We specialize in all types of private events. Our food truck frequents farmers markets and outdoor events in Connecticut during the summer. Follow us on social media to be the first to know where we’ll be! “I’m a busy mom of two young boys. I wanted tasty summer treats for them but I was tired of the ice pops I found at the grocery store, which were often full of sugar and artificial flavors. I decided to create my own pops that I didn’t feel guilty about giving to my kids. When I saw that adults liked them just as much, it gave me the inspirtation to start PopCentric! 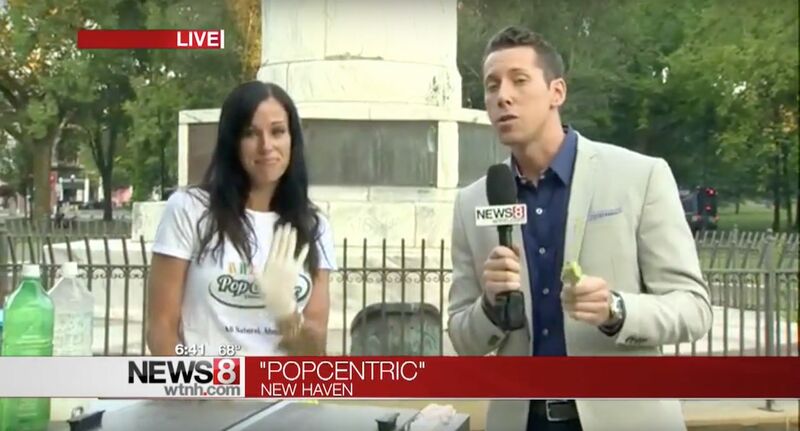 PopCentric Featured on WTNH News 8! Have PopCentric Come To You! For something tasty and unique for your next event, look no further than PopCentric! We specialize in all types of events (picnics, weddings, office parties, etc.) with an extensive selection of artisan ice pops. We will work with you to design a custom menu to match your specific tastes! With enough notice, we can customize your pop sticks to say whatever you want! Your name, date, event or whatever message or slogan you have. We also deliver to most of the Greater Hamden area (10 pop minimum order). Business owners: interested in having PopCentric featured in your business? 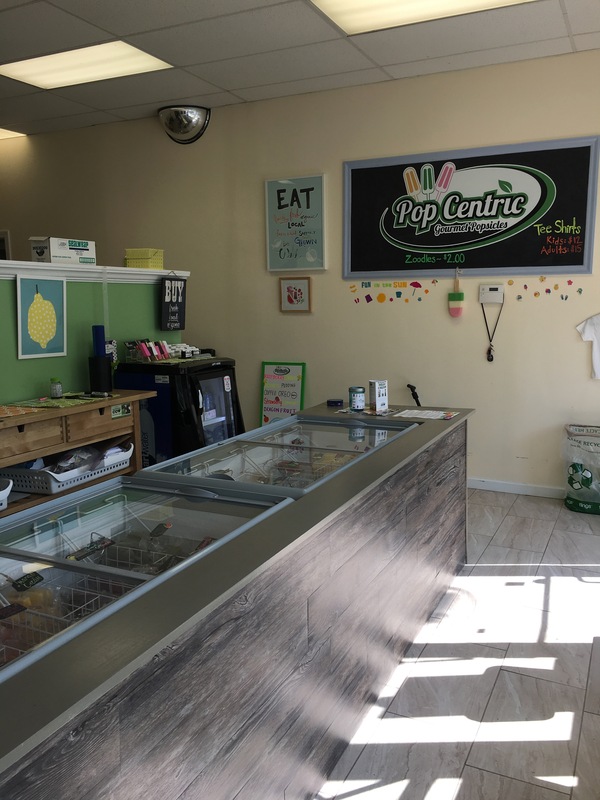 Check out http://popcentricpops.com/wholesale for more information on how to partner with us to supply your customers with the most delicious popsicles around! Instead of cupcakes send us to your child’s school or daycare and treat their class to a healthy and delicious treat! Our all-natural ice pops are delicious and healthy so don’t feel any guilt about indulging! We push the boundaries in order expand your palate and wow your taste buds. We’ve featured almost 70 different and diverse flavors such as raspberry lemon poppy, berry beet balsamic, watermelon jalapeño, key lime coconut, and our famous goat cheese, fig, & honey. For the grown ups we have our famous Boozy Pops, with flavors including caramel bourbon latte, creamy margarita, passion fruit bellini, and watermelon mojito. We even have puppy pops made with dog biscuit crumbles and a no hide chew stick. Bring out your inner epicurean with PopCentric! Our flavors change with the seasons, so for the latest list, come in and visit the store! If you have a flavor idea, we’d love to hear it! Curious about what could be found in your delicious pop? Click below for the complete list of ingredients for each popsicle! Full lists of nutrition facts for your favorite popsicles will be coming in Summer 2017. Pop On By Our Store! You no longer have to wait to get your PopCentric fix! We are currently open. Come visit! Be sure to pop around to try and buy some of your favorite flavors. We also look forward to holding special events. Read our blog and follow us on social media to find out when we open! You just bought some delicious PopCentric pops and you want some for home. Don’t let them melt on the way there! 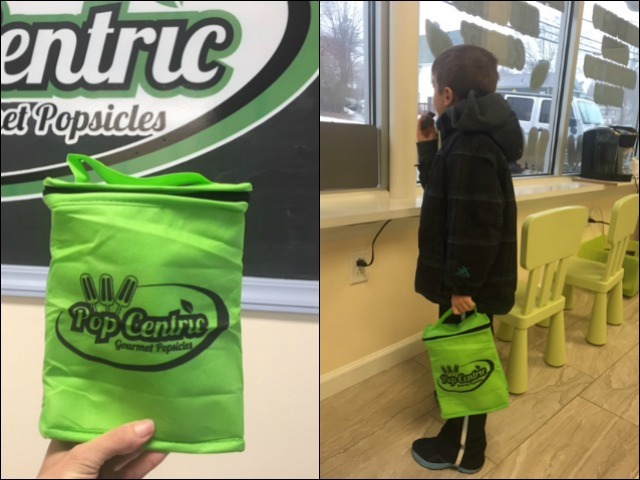 We have insulated and reusable cooler bags, complete with the PopCentric logo, for everyone to see! Cooler bags are free when you buy 6 or more pops. Complementary bags come with every delivery order. Love the watermelon and jalapeño. Banoffee is my favorite so far! Sweet hibiscus lime is fantastic. Can’t wait to try more flavors! 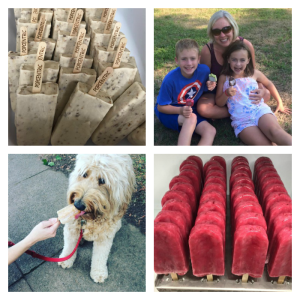 I loved the goat cheese, honey, and fig popsicle! The key lime pie and lemon poppyseed pops were incredible! My kids and I devoured the fruit salad and green tea pops! In love with the goat cheese, fig, and honey! Need to order in bulk! Feels good to be able to buy your kids a healthy treat. Outstanding! Love the honey, fig, and goat cheese! The famous goat cheese, fig, and honey pop is to die for! The caramel bourbon latte Booze Pop really hit the spot! The raspberry granola…wow! So good! These pops are so good! Could eat them every day! The cookies and cream was amazing! Coconut avocado is so delicious! Strawberry lemonade and blueberry lemonade were our favorites! Creamy cantaloupe is so good! Love my mango matcha pop! Love PopCentric! Coconut green tea is delicious! One flavor down, more to go! I am still dreaming about that spicy watermelon! Tried the double chocolate mint. Had to get another! We welcome all ideas, questions, & comments!